It's a huge 6 litres, but not only is it a slow cooker it's a pressure cooker too it cooks Food 70% Faster Than Conventional Ovens. What I love about this is you can use timers ( my current one has a low, high and warm function only). There is also a 2-hour delay time for easy planning and can slow cook for up to 12 hours. This is what I feel I've been missing from my current slow cooker. The unit itself is big, but it's very modern in the silver stainless steel. The instructions are very simple and straight forward to use. As it's a multi function you can cook family-sized roasts, juicy pulled pork, braised lamb shanks or even comforting pasta dishes whilst locking in all the flavours at the same time. When you use the Bella cooker, you will save energy and time while creating delicious meals that preserve nutrients often lost in conventional cooking. As you all know I'm currently doing slimming world, so it's been put to the test. 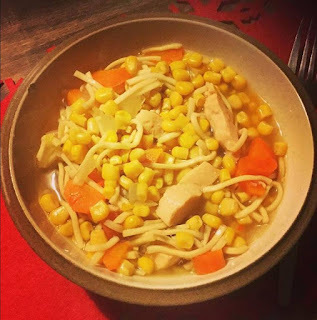 My chicken and noodle soup took 20 mins from start to finish and it tasted delicious on the soup setting. 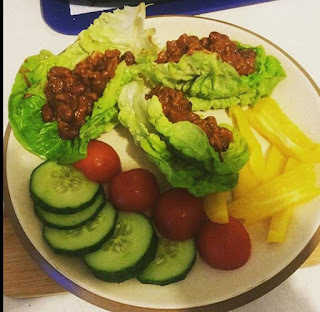 Chilli con carne took a mere 25 minutes, the mince was tender and it melted in your mouth. I also have the chance for you to win your own Bella Multi-Function Electric 6 Litre Pressure and Slow Cooker, check out the Gleam competition post below.